Republicans largely owe their current electoral dominance to the failed promises of Obamacare. President Obama promised lower costs and better access to care from his signature initiative, but the massive federal boondoggle that Democrats rammed through Congress provided exactly the opposite. Despite last-minute improvement to their bill, Republicans appear poised to repeat his mistake. House Republicans plan to vote Thursday on the American Health Care Act (AHCA). Instead of the straight Obamacare repeal that Republicans passed in the last Congress, AHCA would partially repeal Obamacare and replace it with provisions only slightly less bad. Instead of an individual mandate penalty, the Republican plan will allow insurers to charge an extra 30 percent for one year for those who wait until they are sick to purchase coverage. Instead of subsidies, Republicans offer refundable tax credits. It's the same centralized approach with different names. Missing from the AHCA are the free market reforms necessary to finally bring health care costs under control. Instead, the bill maintains the most destructive regulations contained within Obamacare, like its “community rating” price controls. These force insurers to charge healthy and sick people within a certain age range the same premium, and when combined with “guaranteed issue” requirements is what guarantees those with pre-existing conditions can acquire new coverage. It also only allows the difference in premiums between young and old to vary by a ratio of 3:1. AHCA keeps the price controls, with a small expansion of the age-rating bands from 3:1 to 5:1. That's not enough to reverse the cost increases resulting from community rating and other government mandates, which is why Republicans want to create a new federal handout in the form of refundable tax credit for those who purchase insurance. Ironically, there's no functional difference between the credits and the individual mandate penalties that Republicans vociferously complained about under Obamacare. In either case, not purchasing insurance means a higher tax bill. What the health care system needs is more market competition, not new types of government control. There would be little need for Obamacare's subsidies or AHCA's tax credits if prices were lower to begin with, and that can only happen by getting the government out of the way. The percentage of health care spending that is paid for directly by consumers is about 10 percent, an all-time low. Instead, most medical payments are made by third-parties, whether it be insurance companies or the government. The result is a system that lacks price transparency and competition, leading to waste, inefficiency, and ever increasing prices. It's no coincide that areas in which consumers exercise more control, like cosmetic or lasik surgeries, see much flatter price trajectories. Real reform would require abandoning the government mandates and tax distortions which have morphed health insurance—intended to hedge against catastrophic financial loss—into a form of medical prepayment. Insofar as Republicans might fear and seek to mitigate a potential electoral backlash, assistance could be offered to those with limited means—or who have certain pre-existing condititions—in ways that don't distort the market price system, such as through subsidized health-savings accounts. But since costs will be lower, and insurance cheaper as it won't be forced to do everything regardless of consumer need, most will actually be able to afford health care on their own. Republican leadership has attempted to bring wayward conservatives on board with the AHCA with some last minute modifications to the bill. 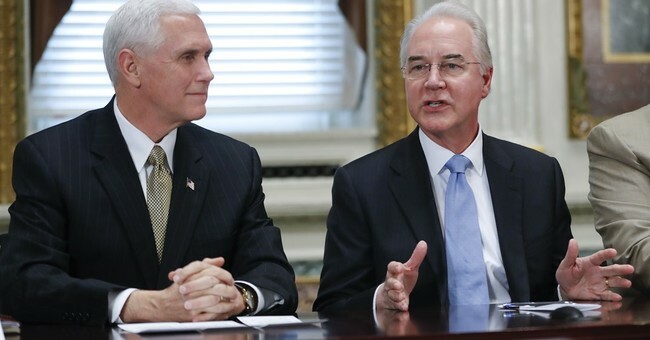 In particular, they have addressed some of the complaints about its failure to address Obamacare's Medicaid expansion by block-granting the program and leaving it up to states to find the most cost effective ways to cover those in need. It's a good improvement, but it is not enough. Standing in between Republican leadership and a looming disaster is the House Freedom Caucus. Chaired by Congressman Mark Meadows, the group's roughly 40 members have the power to prevent passage of AHCA in the House, and most have indicated strong opposition to the legislation. To distract from its shortcomings, Republican leadership touts the tax cutting aspects of the AHCA. There's no doubt that Americans would benefit from eliminating Obamacare's many tax hikes. But if the plan fails to solve the fundamental issues plaguing the nation's healthcare system, Republicans will be setting themselves up for an early exit from power. Worse than that, they would be giving Democrats all the opportunity they need to enact something even worse than Obamacare like government-controlled single payer. The Freedom Caucus taking a stand for principle over the temptation to pass anything in an attempt to claim fulfillment—albeit in only the most superficial ways—of a key Republican campaign promise to repeal Obamacare, might be all that stands in the way of that eventual outcome.